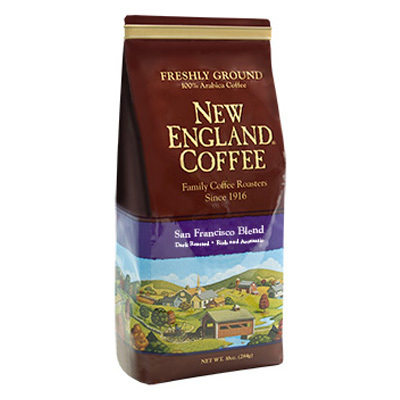 Rich, aromatic dark-roasted beans with a smooth flavor. Twelve Single Serve Cups are packed per carton. Designed for use in your single cup brewer. Excellent flavor when Keurig brewed. 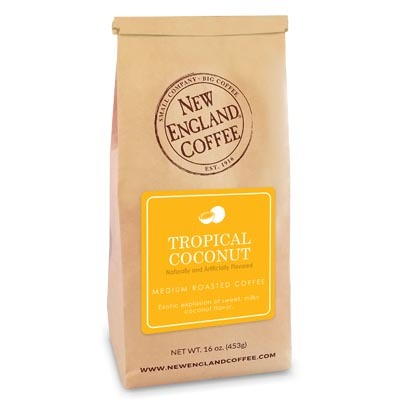 The unique and unusual single-serve packaging seems to allow NEC to grind the coffee optimally for this brewing method. I am NOT a “shill”. I love this stuff. They recently quit carrying it at our local AZ grocer so I am here on this website looking to buy direct. Love dark roasts, and this one is a keeper. Enjoy the single serve option when I don’t want to make a full pot. Tastes just as good either way I decide to brew. 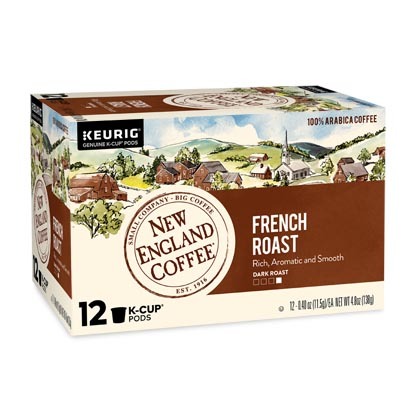 Love the yummy French Roast, always gets my day going. 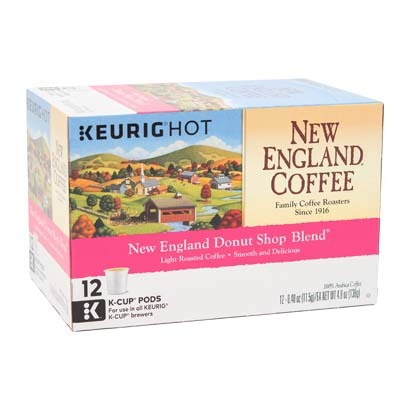 My local store quit carrying the New England Coffee brand. So online ordering, no other brand comes close. The best coffee I ever drank!